firm. Donna Dunn, CAE, will serve as the association’s Executive Director. 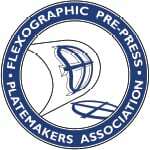 An invaluable industry resource, FPPA advances the interests of the flexographic pre-press industry. accreditation under the AMC Institute’s standard for outstanding association management. “I’m thrilled to begin work for the association,” said Donna Dunn, FPPA’s new Executive Director. Board of Directors of the New England Society of Association Executives. For more information on FPPA, visit fppa.net or call (413) 686-9187.
through vision and direction, as well as comprehensive education to advance the best interests of the industry.